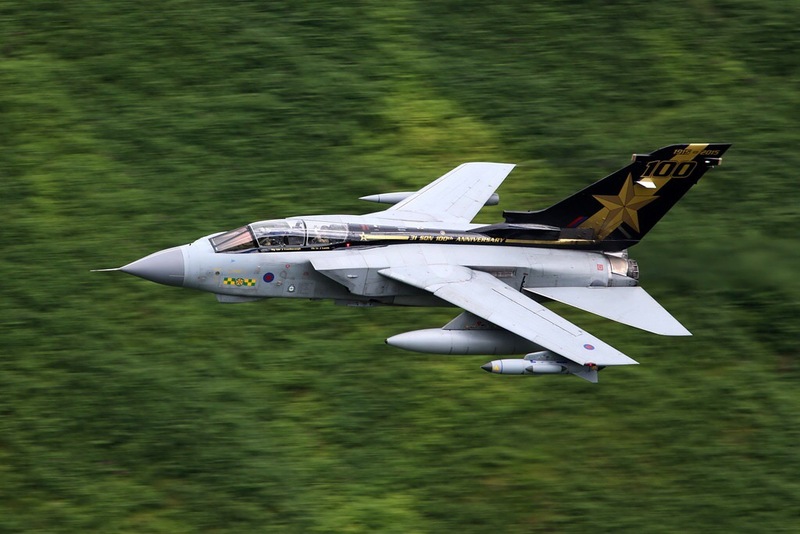 The Royal Air Force (RAF) operates three low flying training areas in the UK. One of them is the “The Mach Loop” a set of valleys, situated between Dolgellau in the north, and Machynlleth in the south, which are regularly used for low level flight training. As a general rule, there is low-level training possible from Monday to Friday throughout the year, but never at a bank holiday. The RAF publishes a timetable of when the Tactical Training Areas may be in use, although this is of limited use, and most people simply turn up in the hope of seeing the planes.